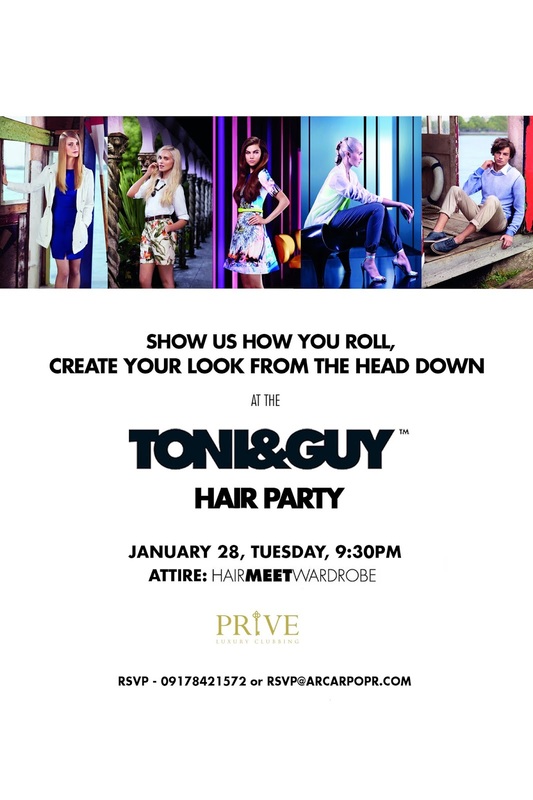 Genuine style and great hair 'dos - that and more is what you should expect this January 28 at the Toni&Guy Hair Party happening at Prive. To ring the New Year, Unilever's new hair range will be celebrated with fab get-ups in the most fashionable style. A mainstay at London Fashion Week, Toni&Guy has a handle on the hottest hair trends season after season. Tapping into the various hair personalities of the fashion forward, the brand’s four style collections: Casual, Classic, Glamour, and Creative, help achieve a wide variety of looks. No matter the occasion, Toni & Guy sets the tune for the style leaders of today with the event of the season. The T&G Hair Party, exclusive invitation to the metro’s sartorial movers and shakers, incites the hottest Manila society crowd to come up with their own take on the brand’s Hair Meet Wardrobe philosophy. The evening also marks the unveiling of the brand’s newest collaboration with the city’s most notable influencers and Toni&Guy’s style visionaire, an expert when it comes to head to toe perfection. The unique photo exhibit features the most talented minds in the industry: top stylist Pam Quinones and famed photographer Mark Nicdao who bring their astounding vision to reinvent the Toni&Guy style collections. Cementing their foothold as the go-to label for style influencers, Toni&Guy proves that there’s no better place to be than at the cusp of style. Watch the video below and see the invite to this awesome party. Join us now and be part of the classiest style from hair to foot. 2013 brought me a lot of #SolaireMoment with their awesome events. 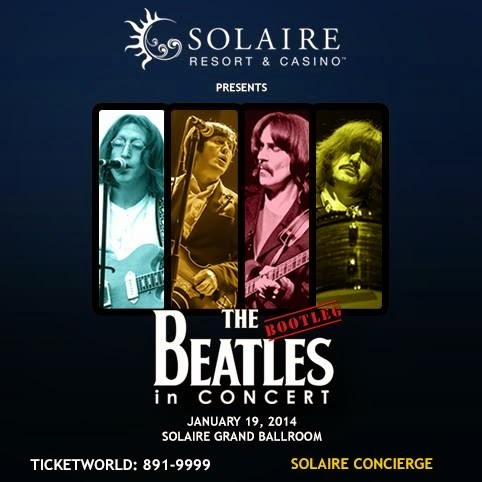 This 2013, Solaire Resort and Casino brings you the closest thing since John, Ringo, Paul and George - The Beatles. Live the '60s this Sunday, January 19 at the Solaire Grand Ballroom with the Bootleg Beatles as they perform LIVE! For tickets, you may contact TicketWorld at 891-9999 or follow Solaire Resort and Casino at Twitter @SolaireResort to get the chance to watch their awesome performance. What are you waiting for? Create your #SolaireMoment now with Solaire Resort and Casino. 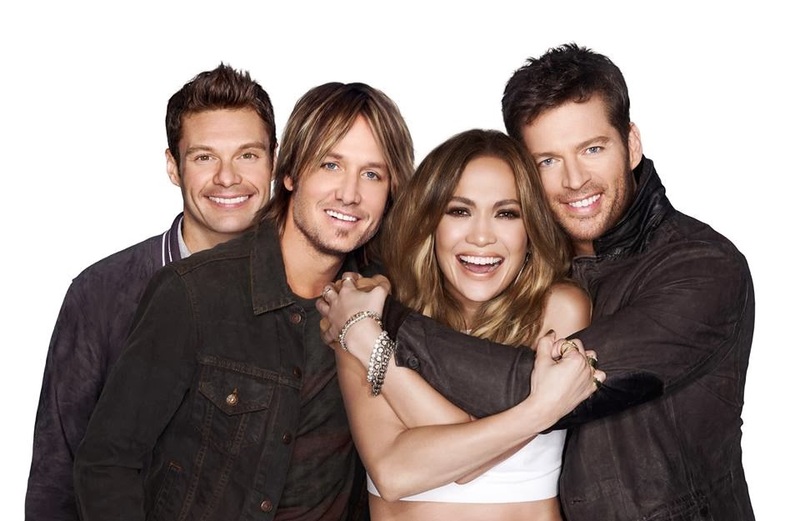 American Idol is Back for Season 13 on ETC! After 12 seasons of American Idol, I'm still excited on who to root for because it is the only TV singing competition show to produce numerous hit and award-winning recording artists. Did you know that combined Idol finalists have released more than 200 albums, hit No.1 on the Billboard charts over 400 times, and have garnered more than 250 million iTunes downloads? Lucky for us fans, this January 16 (Thursday), LIVE via satellite at 6pm, with a primetime telecast at 8pm and January 17 (Friday), LIVE via satellite at 6pm with a primetime telecast at 9pm, you would see the Idol hopefuls with the newest set of judges. Again hosted by Ryan Seacrest and featuring the judges Harry Connick, Jr., Keith Urban, and Jennifer Lopez, along with in-house mentor Randy Jackson, the series continues its search across America to find the next singing superstar. I'm not experimental when it comes to lipsticks. I'd often go for a lip gloss or pink ones because being morena, I can't seem to carry the red swatches. This Christmas, one of the favorite gifts that I received is from my Besty Mela, the FS Dark Rum Night Light, and let me show you why I was so giddy about it. Whether you have a resolution this 2014 or not, we should plan to change for a better future, not just for us but for the generations to come. 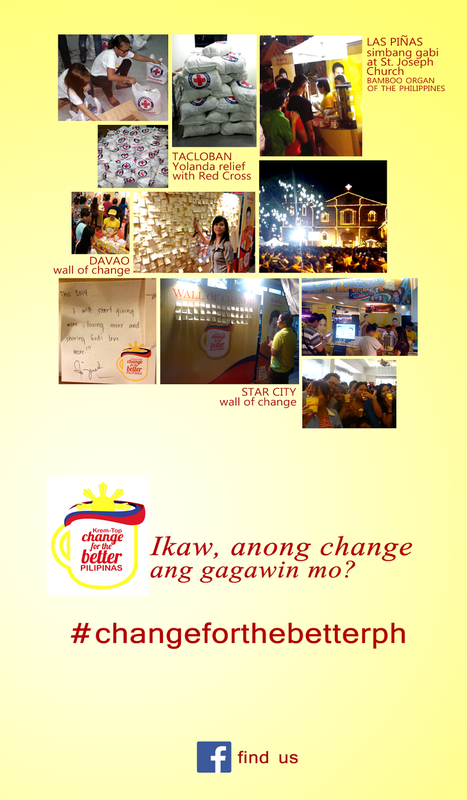 So let's reflect now, what change are you going to do? The festivities may be over, but the goodness of the holiday cheer is still present in the country. In our home, we celebrated the Christmas and New Year with sumptuous dishes that were prepared by my chef-to-be brother. But what made it so special was the desserts made from Alaska Crema, for it brought sweet and savory goodness to everyone in the family.